The cause of the brawl, as well as the identities of those involved, was not immediately known, and luckily no one was seriously injured during the altercation. An intense brawl involving several men and even one usher took place last Saturday at the Joyce Center of the University of Notre Dame in Indiana. 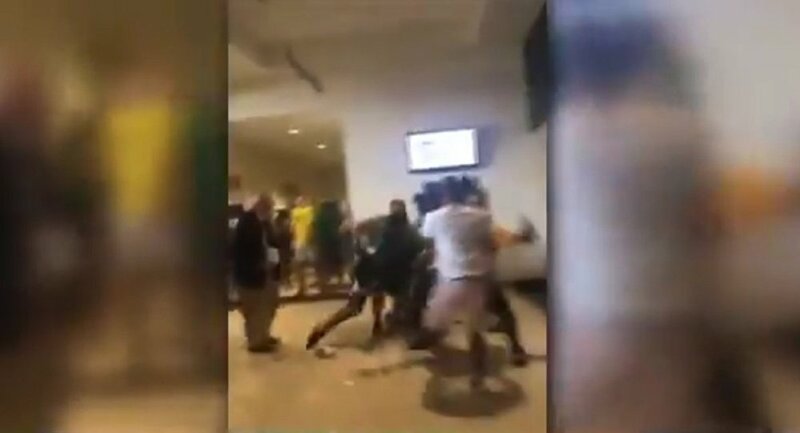 A video recorded by one of the eyewitnesses via a cellphone and sent to a local media outlet WSBT shows several men fighting while an usher dressed in yellow tries to break up the fight and gets knocked down by one of the brawlers. — WSBT (@WSBT) 2 сентября 2018 г. ​The people involved in the altercation reportedly managed to flee the scene before the police arrived so it remains unclear exactly what caused this outbreak of violence in the first place. A university spokesman also told WSBT that no one sustained any serious injuries and that the usher had refused medical attention.